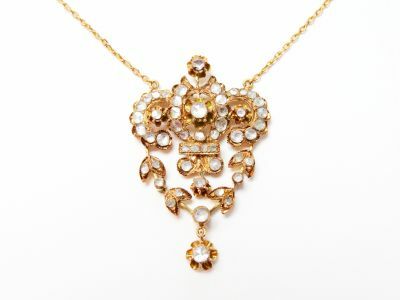 A beauitful antique 14-18kt yellow gold necklace that features 50 rose cut diamonds, est. 1.03ct (clarity:I1 & H-I-J colour). It is approx. 15.25 inches (38.74cm) in length.